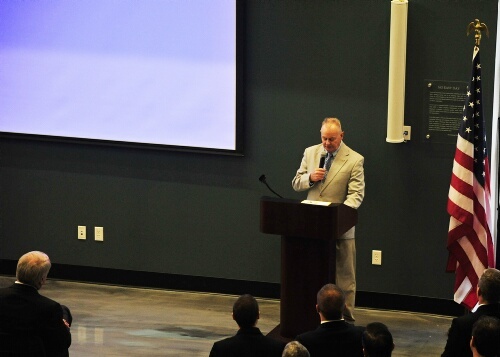 Retired Master Chief Rudy Boesch earned more than a few laughs Friday during his remarks at the East Coast SEALs’ celebration of the SEALs’ 50th anniversary (the West Coast SEALs marked it two weeks ago), both centered around his post-SEAL Team 2 days. The 1986 Goldwater-Nichols Defense Reorganization Act helped spark the 1987 formation of U.S. Special Operations Command. That same year, Boesch, coming up on 26 years as a member of SEAL Team 2, was one of three senior military enlisteds called to Coronado to interview with Gen. James Lindsay, the command’s first commander-in-chief — as the position was then known — to become the command’s first senior enlisted adviser. Boesch’s closing one-liner also drew laughs, but not for a joke the Navy would be pleased to hear expressed in a year following the reversal of the “don’t ask, don’t tell” ban on gays in the military.